And how strong do you think a hypothetical 4th Omen Goku would be? 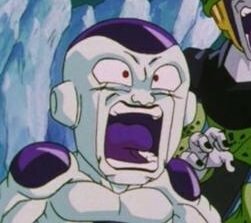 In the folder named "PL DI TUTTE LE SERIE + AF (TOYO E JIJII), VERSIONE CON I MIEI MOLTIPLICATORI"
zarmack wrote: The whole "Dragonball is only supposed to be light and funny" mentality that exist in a lot of the fandom is in many ways even dumber than the "edgeload" side of the fandom. You know, the contrarians who think DB should be a Slice-of-Life series, the folks who worship Pre-Raditz Dragonball uncritically, the folks who downplay and often flat-out deny that Dragonball is an action series, the folks who try to push that false argument that none of the serious moments in the series were mean't to be taken seriously, etc. Dragonball doesn't have a single tone. It has both silly and serious moments, both humor and drama, just like real life. The idea that a work of fiction should be only all-comedy or all-serious is unnatural and frankly, retarded. 8. Gogeta SSJ4 with "one finger"
Garlick jr VS Raditz - movie Garlick or filler Garlic? Goku God VS Gohan - Which Gohan? Cabba beats either version of Uub, but he may need SSJ against Majuub. 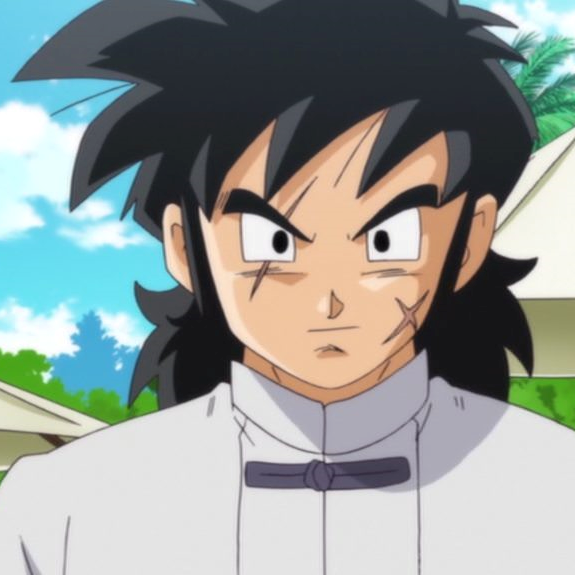 Super carries on much of Dragon Ball and Z's charm in ways that might not immediately be obvious, while also bringing something new to the table. I certainly can't think of any previous arcs like Goku Black, and, for all its problems, the Tournament of Power is possibly the most ambitious storytelling endeavor in series history as far as how its narrative unfolds. It's also a thrill ride, which is all I wanted and exactly what I got. Super also canonizes decades old fan theories in ways that very naturally tie into the overall fabric of Dragon Ball's world in satisfying ways. All in all, Dragon Ball, Z, and Super are all well worth experiencing. 18 one shots. This isn't even a debate. Why exactly are people saying Hell Fighter 17 would win this? DestructoDisc wrote: 18 one shots. This isn't even a debate. Why exactly are people saying Hell Fighter 17 would win this? Well, It wasn't implied she got much stronger since Cell saga, right? I don't think DBS 18 could beat Buu tbh. She was nowhere near 17's level in Super. Hell Fighter 17, according to Vegeta, powered up "beyond belief" and made Vegeta struggle. Both Goku and Vegeta got a lot stronger since Baby saga surpassing Majuub. That makes Hell Fighter 17 much stronger than Rildo in his final form. - Gohan is a non factor, but I think the combined efforts of 17 and Hit could actually pull it off, with many difficulties naturally. - Vegeta's FF was stronger than Goku's genkidama, Aniraza loses. - Rildo, in his strongest form, is far beyond any Majin Buus, but that Vegeta managed to harm Beerus. I doubt Rildo'd do the same. - Is this for real? Cell just does to him what he did to Krillin. - Obuni hasn't got a single chance against him. 18 beat Super Ribrianne, who in just her regular state is on par with Goku and Vegeta's current base forms. That makes DBS A18 since the ToP WAY stronger than nearly all of GT. No idea. It entirely depends if Broly mixes his Ikari form with Super Saiyan or not. Goku powers down to regular Kaioken Blue and one shots him. Kefla has no chance at all. She needs Super Saiyan to beat him. Kuririn wins after a good fight. 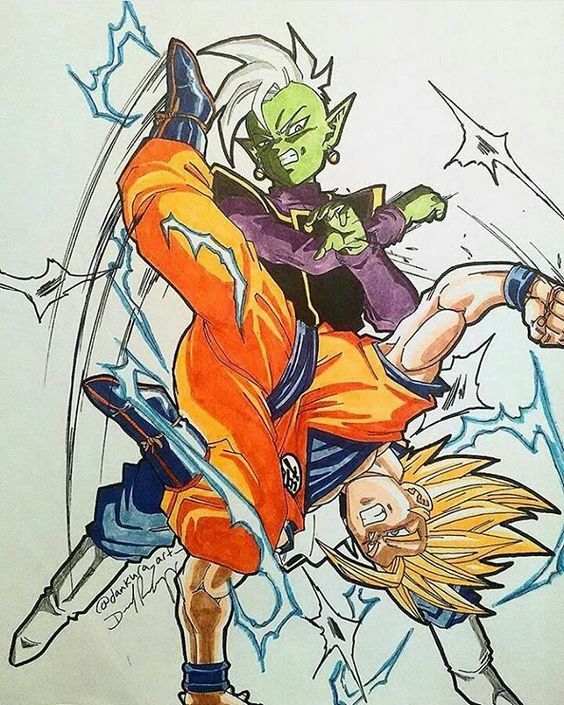 Piccolo has a very small edge. He wins after a good fight. Copy-Vegeta powers down to Super Saiyan and one shots him. I don't think a 4th Omen is possible. And how strong do you think a hypothetical 4th Omen Goku would be? - As strong as 3th, probably. 8. I think Gogeta is stronger. Lurking around here since 2014. Just an old fan who regained his passion for Dragon Ball since then. Dyspo's speed gives him the win eventually. Depends entirely if Broly combines his Ikari form with Super Saiyan or not. Black is weaker but with his clones he can win. Trunks one shots them both in less than a second. Gohan wins as easily as he could have in the Boo arc. Cell blows their heads off with a finger. 4.) Toppo base VS Hit ~~ TO Close to Call, Can't Call this one! 5.) Kid Buu! ~~ Fat Janemba could not stand up to SSJ3, Kid Buu Wins. 6.) A-14 & A-15! ~~ They could least hold their own against the Original SSJ forms. 8.) Kamikaze Fireballs & Team U2! ~~ Any of My Favorites of U2 could beat the Kais of U7.